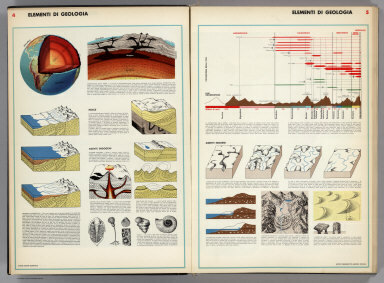 Elements of geology and geomorphology shown. No title page; this may be a proof copy or intended to accompany an encyclopedia or text. Instituto di Agostini is known for the beautiful maps and atlases it produced. Full color. Italia. Toscana. Umbria. Marche. Lazio. Abruzzi e Molise. Italia. Piedmonte, Valle d'Aosta. Liguria. Lombardia. Italia. Trentino-Alto Arige. Venezia. Emilia-Romagna. Asia Anteriore. India, Pakistan, Ceylon, Birmania.